Last week was the final class of our Interdisciplinary Seminar (IDS) on the “problem-historical method” of Dirk Vollenhoven, a major figure in the tradition of reformational philosophy that funds the work done at the Institute for Christian Studies. Junior members were asked to provide a formal reflection on the ground covered in the class and our relationship to Vollenhoven and his method. Given ICS's placement in the ongoing transmission of reformational philosophy, I thought I might offer an adapted version of my reflection to a wider audience so as to demonstrate the kinds of conversations that are still being had at 229 College Street. I should preface this reflection with two caveats: first, the picture I present of Vollenhoven and his method is not necessarily orthodox and serves as a kind of perverse and optimistic attempt to make Vollenhoven palatable to my own interests and concerns. That is, I suspect Vollenhoven and hard-line Vollenhoveans might wince at some of the connections and liberties I take in my interpretation here; I take it for granted that if there is a future for Vollenhoven, it is a future that takes off from different lines of flight made available by Vollenhoven's method, rather than a future marked by a slavish or overtly faithful preservation of Vollenhoven (incidentally, I presume Vollenhoven would not have much of a problem with that latter point). Second, I admit to having some outstanding reservations with respect to Vollenhoven's method, but I have chosen to present his approach as positively as possible, thereby suggesting lines of flight for those charitable enough to take them. In You Must Change Your Life, German philosopher Peter Sloterdijk introduces a distinction between what he calls “base camp” thinking and “expedition” thinking, corresponding to “horizontal” and “vertical” tendencies, respectively. Among his examples of base camp thinkers are the later Wittgenstein, middle Foucault, and late Heidegger. “They perform,” Sloterdijk explains, “each in their own way and for very different reasons, a sort of resignatio ad mediocritatem. The playing of language games, the repeated study of the discourses of earlier power games and the late pietistic waiting for a new sign of being - these are all attitudes in a camp where the path evidently comes to an end, even if the authors have preserved some leftover aspirations to ascent” (178). Another way of putting it would be to say these “performances” are all topological, either concerned with mapping out certain rules (Wittgenstein) and discursive terrain (Foucault) or maintaining the topos of the clearing for being (Heidegger). By contrast, Nietzsche and the more heroic moments in Foucault (among others) are presented by Sloterdijk as moments of vertical thinking, climbing to new heights for thought and being, heights that sometimes give grounds for new base camps and other times remain the privileged sights of virtuosos. Sloterdijk exhibits his own Nietzscheanism when he gives preference to thinkers of ascent, denigrating the work of maintaining base camps as regressive and stultifying. For my part, I think both have an important and complementary role to play (more on this at the end of this reflection), but the distinction Sloterdijk introduces is helpful. The question that I come to at the close of this IDS on Vollenhoven's historiography is how to situate Vollenhoven and his method in Sloterdijk's miniature “typology,” if I may characterize it so. At first blush, Vollenhoven, with his types and models and charts and maps, scouting out the territory of the history of philosophy in a complex atlas of thought, seems obviously placed as a base camp thinker. He gives us the lay of a thinker's land, and a lay of the land of the growing philosophical map. As a cartographer, Vollenhoven's problem-historical method provides an orientation to the exotic cultural parcel that is philosophy, rejecting an understanding that sees philosophy as a vertical ascension of progress (telos) in thought or even as a simple transmission of ideas, preferring instead to consider the horizontal alleys, main streets, highways, humble paths, etc. that connect seemingly disparate thinkers across time and space. By creating typical “neighborhoods,” as we have sometimes said in class (Vollenhoven attempts to articulate a variety of common patterns in philosophical thought, e.g. “contradictory monism,” that perdure across very different thinkers from very different times and spaces), Vollenhoven's method performs “a sort of resignatio ad mediocritatem,” that is, a reduction of a thinker's living and breathing thinking down to its base elements—but while this might sound derogatory (and for Sloterdijk it is), I take this as a simple descriptor. Articulating a neighborhood never articulates the neighbors, though the boundaries of that neighborhood are wholly contingent on the idiosyncrasies of its inhabitants. Thus Vollenhoven gives us an aerial map, at a “high altitude,” as we have also suggested in class, and such maps are indispensible for seeing the forest without getting hung up on the trees. Sometimes one needs the big picture in order to better understand the details (even if that's where the devil lies in waiting to undermine the initial orientation). Thus Vollenhoven gives us an aerial map, at a “high altitude,” as we have also suggested in class, and such maps are indispensible for seeing the forest without getting hung up on the trees. However, perhaps Vollenhoven might be something of a climber, no Nietzsche, of course, but a thinker of verticality nonetheless. Indeed the very purpose of his method is to allow its users the ability to get a handle on a variety of base camps, of philosophical topoi, such that the holder of the map might not take up residence in these camps but ascend, to take an expedition, beyond these camps. The problem-historical method allows the navigator to wander through good and bad neighborhoods in a way that prepares them to notice the qualities that make those neighborhoods good and bad, thereby helping the navigator to avoid remaining enchanted by the comfort of a particular neighborhood. Especially intriguing here is the allusion to Walter Benjamin made by Calvin Seerveld at the close of his article “Vollenhoven's Legacy for Art Historiography,” where he notes Benjamin's “principle that the historian is redemptive in redressing past injustices by memorializing them.” We might actually push this allusion a littler further, suggesting that, like Benjamin, Vollenhoven's method considers history not as a set of neutral data to be categorized, indeed not even merely memorialized, but as living material to be judged and redeemed. Thus the Christian philosophical historian takes up a creative and living role with respect to the philosophies she encounters, leading onward and upward to new heights of ever-more redemptive philosophical work through the difficult task of discernment (consider here the use of Vollenhoven's method by Zuidervaart). The aging work can be seen as a funeral pyre, before which stands the commentator as the chemist, the critic as the alchemist. Whereas for the chemist the wood and ash alone are the objects of his analysis, the alchemist is only concerned with the mystery of the flame: that of life. So the critic asks after the truth, whose living flame continues to burn over the hard ruins of the past and the light ashes of that which was experienced. Let's start with the possibility that Vollenhoven is a chemist. His typology certainly allows for a robust commentary, as demonstrated in our reading of Vollenhoven's work on Parmenides, for example. There Vollenhoven was attentive to the chemical reactions at work in Parmenides' relationship to his contemporaries and the philosophical climate of his day, that is, to the problems posed by reality itself and Parmenides' social world. Yet dry as the problem-historical method sometimes is, it seems wrong to say Vollenhoven reads someone like Parmenides with the interest of merely understanding the wood and ash alone, that is, the burnt out remains of one more item to be tossed on the growing pile of wreckage that is history (to wax a little by allusion to Benjamin's “On the Concept of History”). It seems that there is something more going on beneath Vollenhoven's historiographic investigations, that his relation to aging works and funeral pyres is a relation with something at stake, something other than academic laurels or the obsession of a completionist. It may be that his commentary is not commentary for its own sake but is put in the service of clarifying problems and possibilities in the constructive work of systematic philosophy. In other words, perhaps Vollenhoven is not merely a commentator but a critic, and therefore an alchemist, concerned with the mystery of life, with the living flame that animates the philosophical tradition. His typology, read in this way, is a means of turning over coals in the pyres of past philosophers, seeing which ones are still hot and which ones deserve to burn out. This work of judgment is a dangerous one, open to dismissals and imperialism, and Vollenhoven's method is sometimes employed in precisely this way, to further the task of Christians patting themselves on the back and denouncing “apostate” and “synthesis” thinking, repeating the classic violence of the Christian tradition by hiding behind pretenses to philosophical rigor. But, intimidated by the possibility of these abuses (which are hardly unique to Christian approaches to historiography or thought), would we prefer the safety and respectability of a commentator, who simply puts together a periodic table of philosophical elements? Or is the risk of criticism, of redemptive judgment (that is, one not unlike Benjamin's own project, seeking to contribute to active, material justice through the scholarly task), of putting these periodic elements together in an alchemical way, not only preferable but obligatory for a Christian historiographer? I would dare to take the latter position, and I think Vollenhoven would, and does, too (though admittedly Vollenhoven would likely bristle at my attempt to draw him so closely to a Kabbalist Marxist). To see the typological figures introduced by Vollenhoven and utilized and refined by his progeny (contradictory monism, priority mentalism, monarchianism, etc.) in this way is to see them as tools that aid in the work of discernment, not lab tests that determine once and for all the makeup of particular thinkers. To see the problem-historical method as an alchemical one is to make Vollenhoven a resource for taking up a creative and critical approach to the history of philosophy for the sake of redemption. Vollenhoven's historiography might be, then, a way of viewing things “from the perspective of redemption,” to invoke a theme in Critical Theory, and therefore a way of transcending the conceptual blockages of the past and opening us up to a better future (this is precisely how Vollenhoven has been used by such thinkers as James Olthuis, Nik Ansell, Bob Sweetman, Lambert Zuidervaart, and plenty of others at ICS). To see the problem-historical method as an alchemical one is to make Vollenhoven a resource for taking up a creative and critical approach to the history of philosophy for the sake of redemption. If Vollenhoven articulates base camps, if he engages in commentary, it is so that one might embark on the right expeditions, not so that one might be satisfied with filling in the edges of the map (“here there be postmoderns”). The articulation of those camps must be done with a great deal of interpretive charity and sensitivity (as Vollenhoven demonstrates in his readings of the Pre-Socratics), but the work of redemptive critique remains imperative. Here I should make explicit that redemption is not a work of obliteration or one-way gavel-pounding but a transformation, meaning the alchemical-critical task is not one of animosity toward its dialogue partners but one that leads both the alchemist and her interlocutors to new heights—both parties of the interpretive, historical relationship are transformed. Vollenhoven, a thinker of ascent, a thinker whose maps encourage one to leave the safety of tempting base camps for the horizon of redemption? Perhaps it is less far-fetched after all. It seems to me that both of these tendencies, articulating the base camp and embarking on an expedition, are present in some sense in Vollenhoven. Perhaps Vollenhoven is the unifying thinker that Sloterdijk is unable to account for by driving a wedge so deeply between base camps and expeditions. Or perhaps Vollenhoven is a very particular example of one or the other tendency, of maintaining the camp or critically ascending to the summit. My own persona tends to resonate with vertical thinkers, with expeditions, resistant to typiconic articulations altogether, and I may be guilty of forcing Vollenhoven into my own Procrustean box of concerns—but perhaps, understood in a nuanced way, Vollenhoven's method provides a means of holding these two tendencies together, or, better, a means of refusing to see them as necessarily distinct. To articulate a base camp is to provide the motivation for an expedition into unknown philosophical territory, without the comfort of recurrent and reliable patterns of thought. (For that matter, contra Sloterdijk, it bears noting that Wittgenstein, Foucault, and Heidegger all only articulate their respective base camps in order to move into new realms of freedom, unburdened by the pictures that hold us captive, the imposing regularity of power discourses, and the enframing of being.) Vollenhoven's base camp articulation is done in the service of helping others to take on an expedition, even if that expedition likely leads to the creation of new base camps, like a modal ontology, which might need their own redemption and transcendence (pace Vollenhoven, Dooyeweerd, and co.). Whatever the case, the promise of Vollenhoven's method, even if this promise was opaque or overshadowed here and there in Vollenhoven or some of his followers, is the possibility of redemptive critique, that is, not acidic critique or imperialistic critique, but a reading of the philosophical tradition that sifts through the wreckage of history (Benjamin again) to see what coals are still hot and what coals deserve to stay cold. And we may be so bold as to consider, too, the possibility that there remains an alchemical task in reading Vollenhoven's own philosophical historiography, to fan the glowing embers and see what sparks still have life. Calvin Seerveld, “Vollenhoven’s Legacy for Art Historiography,” Philosophia Reformata 58 (1993): 45-79. See Anson Rabinbach, “Critique and Commentary / Alchemy and Chemistry: Some Remarks On Walter Benjamin and This Special Issue,” in “Special Walter Benjamin Issue,” special issue, New German Critique 17 (Spring, 1979): 5. Dean Dettloff is a Junior Member in the PhD program at the Institute for Christian Studies, where his work concentrates on the intersections of philosophy of religion, Critical Theory, and media studies. It is hard not to think of a philosopher with the chutzpah to think that one needs to refound philosophy on another spiritual basis than its actual historical foundation as without vertical lift. Vollenhoven lacks the rhetorical verve to match his vertical impulses to be sure. But the impulses themselves hold the promise of serious vertigo. On the other hand, he is keenly aware that the only philosophy and history of philosophy that exists heretofore is one firmly gounded in the exigencies of a spiritual foundation he distrusts. Moreover, he is a reformist; not a revolutionary. The only way to get from philosophy founded upon an untrustworthy spiritual dynamism to one founded on a trustworthy one is by transformation. That must be a communal and gradual thing. So one has to know what one wishes to ascend beyond. One needs to know its base camps because one will have to use their resources even if the ultimate destination moves beyond the peak the ascent of which those base camps were set up to support. They will not support the ascent of the peak Vollenhoven hopes to scale, but they are where one must start whether one likes it or not. And so the work of sifting and accounting must be part of any new ascent. I think this entirely compatible with your post, just a gloss on it. Thanks, Bob--this captures exactly the spirit of what I was trying to get across, namely that Vollenhoven's method of reading history is put in the service of a constructive and frankly ambitious project, rather than either an inert method of dealing with textual artifacts or circling the wagons of a specific Calvinist theology. Vollenhoven rightly recognizes, I think, that these base camps are constitutive places from which we start thinking in Western philosophy, but they are nevertheless not constitutive ending places or landing pads for that thinking. Thanks for drawing these themes out so well in your "gloss," Bob! Dean, thank you for writing. I had a feeling similar to Doug, that I was reading some inspired writing! It was a rewarding read. I have some questions about the climbing metaphor. There are the base camps, and there are the climbers. The climbers need base camps or else they will falter on the fumes of their hubris. Getting to the top means a base camp was at work. Mapped onto philosophy, it seems to me there are philosophers who show the way for others (base camp establishers) and those who climb (the ascenders, like Nietzsche). My query is about the climber. The climber cannot pay attention to the people below, or the state of the camp. The climber is looking up, and not just at the summit, but more like at the next hand-hold. There is a kind of indifference to what happens below. I feel like this is necessary to the climbing, but... How can that be Christian? Thanks for weighing in, Jonathan! Yes, the climbing metaphor does break down in a variety of ways, and though the base camp/expedition contrast is from Sloterdijk it finds its inspiration explicitly in Nietzsche's own alpine metaphors that he uses to describe his project. Nietzsche's frustration with Christianity is that it operates exactly as you describe--with attention to and valorization of those in the base camp, who will never be capable of climbing. I think there's something to it, however, if we try to imagine the relationship between these two kinds of thinking to be not necessarily oppositional (that is, I don't want to cede the point to Nietzsche or to the inverse that takes the base camp to be more primary than the ascent). This sounds like a dangerous thought, but some measure of virtuosity, even "ignoring" what goes on in the base camp, seems imaginable to me without a bad form of elitism. I don't take it for granted, for example, that I should hold artists or even philosophers accountable for taking cultural leaps that are not immediately accessible to me. I want there to be a way of climbing that is light enough to not be weighed down by the weight of public opinion or the topology of whatever is going on in the base camp at this or that time (it bears noting here that base camps are often ideological--or, rather, that ideology is what holds a base camp together, for better and worse). At the same time, the Nietzschean disdain for the base camp is different than being able to move beyond it without being immediately accountable to it. Maybe we could say it all hangs on how one leaves the base camp--one can leave it with resentment, but one can also leave it with gratitude, and perhaps even with the intention of coming back down (I take it coming back down to the base camp after leaving in gratitude would look different than how, say, Nietzsche's Zarathustra comes down to the marketplace). That some people are gifted at climbing doesn't preclude, for me, the idea that others are gifted at maintaining or improving the theoretical base camps of everyday life. Indeed, some have to climb up in order to get a good view and climb back down (e.g. Wittgenstein kicks away the ladder of the Tractatus, only to return to the language games being played that he observed after climbing a ways away from them). I fear I'm probably spinning this metaphor out far beyond its communicative capacity, but maybe something in there has managed to connect with your pressing and insightful comment/question! The luxurious features of Dean Dettloff’s Vollenhoven blog have been well noted by responders in comments that were well deserved. I suggest that only at ICS could this kind of creative outburst originate. Nowhere else is there such an appreciative animus toward Vollenhoven’s work in the history of philosophy. To the contrary, even people very close to him, colleagues and contemporaries, people who deeply respected him also as a philosopher, mostly did not see much of value in his cartographic construction of the history of Western thought. This lack of appreciation was not without grounds, some of which deserve to be known among ICS admirers. The impulse of his approach came from the time that he was working on his dissertation in philosophical mathematics. He was thoroughly put off by the disorganized literature he consulted in the history of his field and decided to re-organize the material before completing his dissertation. His interest in mathematics provided him with a strong systematic impulse with which he assailed the (to him) chaotic literature available. And he made use of some insights that should have been obvious to anyone. The most important of these was his outright rejection of the astonishingly simplistic categorization of philosophers, for example, as either rationalists and empiricists. People who today criticize him for pressing philosophers into a chart-like mould seldom realize that he provided a universe of choice where there had only been much more rigid moulds with only two compartments. From this point of view Vollenhoven immensely enriched our grasp of centuries of the many types of philosophical conceptions that arose in history. Vollenhoven also developed what one might think would be intuitively self evident, namely that a seminal thinker might go through developments that would change the conceptual structures underlying that thinker’s work. So the idea that the entire opus of a Plato or Aristotle would represent a single homogeneous conceptual construct was unacceptable to him and he tried to trace the various phases such a thinker might pass through. There is more to be said in appreciation, but I leave it at this, in order to draw attention to one of the most debilitating weaknesses in Vollenhoven’s work. I refer here to the historical constancy of the structure of a type of thinking in his charts. Often his understanding of these types was originally based on a careful and imaginative interpretation of ontological constructs in a thinker’s work. But those of us who worked as his assistants knew that, once a type had received his basic assessment of its structure on the basis of research in some representative thinkers, the day to day treatment of such types as research instruments was heavily determined by a naively simplistic view of the mechanical constancy of a type’s persistence throughout history. Sometimes thinkers were assigned one or more characteristics of their thought without much real evidence in the literature, sometimes a pronounced departure in some thinker from te pattern Volenhoven had hitherto taken to be characteristic would induce him to pronounce a change in that entire pattern from the pre-Socratics to contemporaries without ever consulting a single other author subscribing to that particular type. This pronounced weakness was more than an occasional slip or burst of enthusiasm. Vollenhoven’s background in mathematics gave a mechanical slant to his work and his affliction with agoraphobia made him deeply anxious about spaces in his charts that had become empty because he had moved some thinker to another space. Vollenhoven’s efforts to provide his follow-travelers with a base-camp-oriented set of reference axes (richtlijnen) convenient for orientation, navigation and self-location vis à vis the history of philosophy is of course not “marked by an equation of base camp and summit” or the kind of resignation to mediocrity Sloterdijk describes (as you seem to acknowledge Dean in your very thought-provoking post). It’s orientation to mapping type and time-stream is not the last horizon, as much as a “volstrekte minimum van vereiste acribe,” the absolute minimum of requisite scholarly rigor (Vollenhoven, 1961c, page 34) in promoting historical understanding, anchoring critical retrieval or facilitating constructive engagement. (Akribeia is Greek for exactitude, painstaking care, and has given French the learned word acribie (quality of the scholar who works with extreme care) and “acribologie” (precision in the use of words). The summit for Vollenhoven would have been to get a bead on the actual order of all the themes and problems of philosophy that gained influence in Western-European thinking (de zakelijke order van al die themata en problemen der wijsbegeerte op het spoor te komen, welke in den loop der eeuwen ook op het West-Europeesche denken invloed had gekregen). The operational a priori here was the insight that each conception involves (impliceert) a diversity of themes (themata), and that it was therefore necessary first of all to systematically or methodically track down and trace forward these themes (op de spoor te komen) one at a time in a consequential and unambiguous way, as well as to identify the problematics (problematiek) implicated in them and the solutions the themes represented, if one wished to be in able to sketch their interweavings against a more adequately illuminated backdrop. (Vollenhoven, 1950e, preface, page 6f). This required an attentive listening to (gedurig luisteren naar) and patient thinking along (mee-denken met) with the texts (Vollenhoven, 1950e, afterword, page 591) — i.e., the “hermeneutical ethic” of reading and re-reading, listening and waiting until “the read” settles and becomes understandable (bezonk en verstaanbaar werd) from out of the problematics of time and place in which it originated that Vollenhoven describes in the final pages of the “Methodological Dangers” essay Bob translated. I am by profession a graphic designer / typographer. From an “envisioning information” point of view I find the schematic charts and the schematics of the types bracing in their data-richness, comprehensiveness, logic and dimensionality. If we think of “the method” as defined by the above operational a priori in the context of a well-defined and unimpeachable hermeneutical ethic, and if we consider the categories not as the last horizon, but only a bare minimum, or stations on the way, I think the “consequent problem-historical method” might remain elastic, provisional and open to development (such as they were for Vollenhoven), and the “schematic charts” find their place as an evolving tool for enhancing historical understanding, anchoring critical retrieval or facilitating constructive engagement. Vollenhoven’s efforts to provide his follow-travelers with a base-camp-oriented set of reference axes (richtlijnen) convenient for orientation, navigation and self-location vis à vis the history of philosophy is of course not “marked by an equation of base camp and summit” or the kind of resignation to mediocrity Sloterdijk describes (as you seem to acknowledge Dean). It’s orientation to mapping type and time-stream is not the last horizon, as much as a “volstrekte minimum van vereiste acribe,” the absolute minimum of requisite scholarly rigor (Vollenhoven, 1961c, page 34) in promoting historical understanding, anchoring critical retrieval or facilitating constructive engagement. (Akribeia is Greek for exactitude, painstaking care, and has given French the learned word acribie (quality of the scholar who works with extreme care) and “acribologie” (precision in the use of words). The project required or requires an attentive listening to (gedurig luisteren naar) and patient thinking-along (mee-denken met) with the texts (Vollenhoven, 1950e, afterword, page 591) — i.e., the “hermeneutical ethic” of reading and re-reading, listening and waiting until “the read” settles and becomes understandable (bezonk en verstaanbaar werd) from out of the problematics of time and place in which it originated that Vollenhoven describes in the final pages of the “Methodological Dangers” essay Bob translated. I am by profession a graphic designer / typographer. From an “envisioning information” / “visual explanations” point of view — see the books by Edward R. Tufte on these topics — I find the schematic charts and the schematics of the types bracing in their data-richness, comprehensiveness, logic, simplicity and dimensionality. If we think of “the method” as defined by the above operational a priori in the context of it’s rudimentary but challenging and well-defined hermeneutical ethic, and if we consider the categories not as the last horizon, but only a bare minimum, or stations on the way to historical understanding, I think the “consequent problem-historical method” might remain elastic, provisional and open to development (such as they were for Vollenhoven), and the “schematic charts” find their place as an evolving tool for anchoring critical retrieval or facilitating constructive engagement. Thank you Peter, for continuing this conversation. My primary interest in the present context is to encourage a serious evaluation of Vollenhoven as historian of philosophy. As far as I know, his reception at ICS and in North America more generally, is for the most part the fruit of Runner’s admiration. 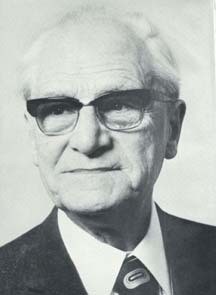 When his students went to Amsterdam they were primed to take Vollenhoven very seriously, unlike was the case in the Netherlands. But why is Vollenhoven not appreciated among Dutch reformational people, with the notable exception of Cor Bril? I was originally an enthusiastic supporter like any other of Runner’s students. But when I became his assistant another side opened up to me. The wonderful things you write about how Vollenhoven himself thought about his method were not part of his everyday work with it. Why was that? Do the charts reflect his method at its best or are they the product of another side of his work? In this symposium on Lambert Zuidervaart’s appropriation of reformational thought, I think it’s worth drawing attention to a side of Vollenhoven that gets very little attention. Giving lovingly careful thought to the puzzles that cling to his own way of working would, in my view, be a significant way of honoring his legacy. An initial discussion of such a project in these blogs would seem an appropriate way to get it started. Henk, I trust you don’t think I was attempting to drown out your cautionary notes, and Dean, I hope you and the other readers will allow me another longish post. I have often asked myself if Vollenhoven was consequent enough in his application of the hermeneutical ethic and methodological a priori I tried to signal. Along side the issues that Henk raised about “a naively simplistic view of the mechanical constancy of a type’s persistence throughout history,” and his abrupt procedures, I might ask if Vollenhoven’s identification of the “most important problem” that pre-platonic thought is dealing with, as “the problem of the relationship between structural law and cosmos” suffers from the very flaws he reproaches Mansfield for in “Methode-perikelen,” i.e., an anachronistic reading of ancient texts. In historiography, shouldn’t we stay close to the actual constructs, motifs, language and problem “markings” actual used in our identification of themes, problems and solutions, rather than use our own much latter constructs to identify what for us the Pre-Platonics, or, for that matter, the discussion partners in the realism versus nominalism debates are actually, in our terms addressing? Did you really mean to imply in your reply Henk, that 1) Vollenhoven’s mania to get an accurate bead on themes, identify the problematics implicated in them and the solutions the themes represented, and 2) his hermeneutical ethic were not part of his everyday working with philosophical texts in relation to his types and time-streams? When refinements were made, new types introduced and the relationships between them are reconceived so that the schematic charts have to be re-drawn, wasn’t this precisely because this mania and ethic was in play? I know the sudden reconfigurations and seemingly reckless, or at least insufficiently documented re-locations must have been maddening, but isn’t the revisioning impulse — the impulse voortdurend te herzien — a good thing: something that must be revived if the method is to be saved from becoming an artifact. In my own rooting around in, for example, Dooyeweerd texts, “type” designations initiate a productive kind of conversation with the texts (and types). Does Dooyeweerd, at a certain point in his development, have a semi-mystical conception? Well, the term “participation” (in the “new root” of the cosmos) is used. Does Dooyeweerd at another point have a monarchian conception? Well, there does appear to be “one arché.” In it’s latest iteration, monarchianism is identified by Vollenhoven as having a monistic pendant. But isn’t Dooyeweerd’s anthropology in a way dualistic, or at least isn’t there a dichotomy in the anthropology? Well, there is the supra-temporal versus temporal contrast. What do we make of that? Dooyeweerd insists that we, at the center of our being rise above or go beyond time, while simultaneously being enclosed within time. He doesn’t want this to be understood dualistically or in a dichotomistic way (reply to van Peursen). Are we wrong in thinking of in terms of a monistic versus dualistic either / or? Might it be better to call this anthropology non-dual, as Glenn Friesen has done, or “aviatic”? Is the monarchianism of the descending, diverging and differentiating kind? Well, maybe, but as Pete Steen has shown, there is also an ascending, combining and converging theme in Dooyeweerd. Does this mean there is a third type of monarchianism in which these two types are combined? a new type that needs to be added to the list? Perhaps. Both Emil Lask — whose deep influence Dooyeweerd acknowledged, and Franz von Baader — who Dooyeweerd nowhere mentions — use “aufsteigenden und absteigenden” language in their texts. And where does the theme that we, at the center of our being rise above or go beyond time, while simultaneously being enclosed within time, come from? Is it particular to Dooyeweerd? Does it have a name? And so on. In my own appropriation of Vollenhoven's "method" I have become aware of his types as operating at the conceptual/logical level as language tropes function at the imaginative/lingual level. As a result I tend to call types "conceptual figures". The existence of a figure does not explain itself, but it does begin to mark out a conceptual order within a text that is deployed (via rhetorical ductus) to do things with words and concepts that may at times be oblique to the figure itself (one could count on the conceptual figure to produce an allergic reaction which serves to reorient the reader/listener in a desirable way. The point is to collect as many indicators as is possible from the texts one is dealing with. The historio-graphing of conceptual figures will be appropriate when it takes one deeper into the text rather than replacing it with itself. One sees this sifting of typological features in the thought of the philosopher one is seeking to understand and the interlocutors whose thought figures attract and repel that same philosopher in articles like Methode-perikelen. But I hear Henk saying that the pedagogical as opposed to scholarly deployment of the philosophical types he identified within the history of philosophy effaced the enunciations of the philosopher in question, such that the types themselves became the point, replacing the philosopher or his text. And of course there are many gradients in-between these two poles. So the voortdurend herzien of Vollenhoven's practice as scholar is the context for the method's deployment in philosophical enquiry in its historical dimensions. But he clearly had other ideas as university teacher. It seems that there were complex motivations at play in his historiographical method and practice. We need to acknowledge this and make up our minds what implications such complexity has in what we bring forward and what we leave behind. At any rate, such has been my own practice and orientation toward this Reformational founding voice in its historiographical soundings. In relation to both Peter and Bob, what I think I have done so far is share experiences of how Vollenhoven worked with his method, gleaned mostly when I worked as his assistant. These experiences were real and I have left them for the most part uninterpreted. My admiration for the inspiring side of Vollenhoven is primarily a result of some of his writing and, in no small part, of the insightful work done by Al Wolters, Bill Rowe, and Bob Sweetman. Both Vollenhoven’s genius and some of the powerful insights he contributed to understanding “history of philosophy” are also very real and some of us have devoted themselves to unearthing these treasures. In my view it is time now for a serious interpretation of how and why these sides of Vollenhoven existed side by side. A shared and acknowledged evaluation of his legacy may significantly depend on how this issue is addressed. It would be a worthy project for a phd dissertation. I should add that in the last few days I have feasted on what Google revealed when I went looking for “Vollenhoven’s method” and related topics in both Dutch and English. Thanks to the pioneering work of the late Tony Tol and Kor Bril there is now also much greater interest in Vollenhoven in the Netherlands. I agree that this would make for a really good topic. It is something I hope myself to explore going forward. Any help I could get I would welcome that is for sure. This whole exchange is a good push to get at it, for it convinces me that there will be people interested and helped by the result. Maybe others will have the same feeling? I read the posts in this blog on Vollenhoven’s method with great interest. I am not a philosopher but a social scientist who is interested in philosophical insights that enrich my work as a clinical psychologist and a psychotherapist. I would like to relate what Vollenhoven’s method has meant to me and more generally to theory formation in psychology. In 1980 I published a book, entitled Basic Intent and Therapeutic Approach of Carl R. Rogers. The aim of the book was to attempt to understand Rogers’ basic intent, i.e. to analyze his therapeutic approach down to the place where his heart beats, so as to be able to communicate with him as a Christian from out of the place where my heart beats. Those words are high praise. The book sold well enough but I considered it nothing spectacular. It was, after all my dissertation. However, some years ago, I attended a conference of ADPCA, the organization that promotes a “Person-Centered” or “Rogerian” approach in therapy. To my total surprise a number of attendees told me how much the book had impacted their lives. One woman told me,” It changed my life”. Apparently the book has become a bit of a classic, required reading for any introductory course about Person-Centered Therapy. I do not mention these facts to toot my own horn. I am actually puzzled by the book’s apparent popularity. I have never considered myself an accomplished scholar. Instead, the praise is due to Vollenhoven, whose work inspired me to attempt such an in depth study of a prominent psychotherapist like Rogers. Specifically, in my analysis I used one of Vollenhoven’s “categories”, “monistic (interactive) geneticism”. (Basic Intent: 94, 96) It afforded me an in depth understanding of Rogers’ view of human life. Judging by the praise of the book, this category accurately describes Rogers’ basic anthropological intent. Van Belle, H.A. (1980) Basic Intent and Therapeutic Approach of Carl R. Rogers, a study of his view of man in relation to his view of therapy, personality and interpersonal relations. Toronto: Wedge Publishing Foundation. …the history of psychology gives evidence of both continuity and discontinuity in interaction with one another. Thus, to do justice to the actual history of psychology one must take note of both persisting themata and changing paradigms. (Explorations, back cover). Van Belle, H.A. (2013) Explorations in the History of Psychology, Persisting Themata and Changing Paradigms. Sioux Center Iowa: Dordt College Press. Philosophia Reformata, 26, 1- 34. Vollenhoven, D.H.Th. (1961) De consequent probleem-historische methode, Philosophia Reformata, 26, 1- 34.